On Friday 10 January 2014 FIBER and MU present Coded Matter(s) #3: Transmaterials. During this evening programme artists, designers and theorists explore how digital fabrication technologies, such as laser cutting and 3D printers, provide unprecedented possibilities to translate coded virtual forms and digital processes into physical materials. 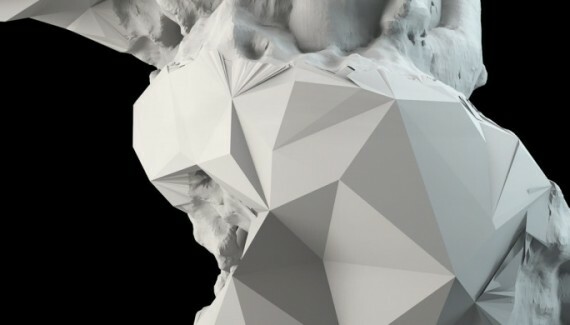 MU’s current exhibition The Sculpture Factory by the London-based artist Davide Quayola exemplifies how merging computational aesthetics with physical matter adds new meaning to (traditional) art and design practices. Quayola uses contemporary digital technology to tackle classic aesthetics and the universal rules for beauty and perfection. Until now he mostly created his studies in the form of projections, installations, photography and multimedia adaptations. However, for The Sculpture Factory, which he developed especially for MU, he is entering the realm of sculpture. The basic material is provided by none other than his great example Michelangelo: the unfinished series of four ‘Prigioni’, or ‘Captives’, made between 1513 – 1534. Transmaterials is the third edition of FIBER’s Coded Matter(s) series and will also be the closing event for MU’s exhibition The Sculpture Factory. Prior to the evening programme there will be a masterclass by Quayola (using Dedalo, the same software he used to create this exhibition) for visual artists and designers interested in the intersection between software, sound and sculpture. Posted in news and infoTagged 3D modeling, 3D printing, coded matter(s), masterclass, Quayola, transmaterialsBookmark the permalink.